American health care is like American snow: sporadic, unreliable and distributed unevenly among the population. Compare this of course to the Great White North, where not only the flurry white stuff evenly covers the land from coast to coast (I woke up to snow flakes last Sunday! ), but an equally solid blanket of free tax-funded health care enchants the population. Or at least this is how the legend is being told among the great unwashed masses of Europeans looking for opportunity in the New World. The beginnings were promising. Shortly after my arrival last year, I was made to apply to the provincial health plan, which in my province is yet another Q-acronym. And after a three month hold-out period (a polite way to say "quarantine", I thought), the mailman delivered a credit-card sized health card, which despite its tacky look (the sunset of life, perhaps) came with the promise of unlimited access to free health care. I tucked the card into my wallet, sat back and gleefully looked south, where Mr. Obama valiantly fought his battle to introduce Canadian-style socialist health care with death panels. Oh, it's absolutely wonderful. As long as you're well. Obviously, it was only a matter of time until I had to find out first hand what it is really like. And this week, the moment of truth had come. I read through the glossy directory of health services in my neighborhood, which the city has distributed earlier on, to find a place to see a doctor. Fortunately, my case was a very benign one: Upon preparation of the documents required to apply for permanent residence, I came across my vaccination records. They sported a little sticky note, reminding me that 2010 was when to get two booster shots. If I chose to continue roaming the streets of Montreal as the walking biohazard I had become, I would not stand a chance of being accepted to this country on a permanent basis. So I picked the clinic closest to my place, glanced at their website and gave them a call for an appointment. By which I probably made quite a fool of myself. "Oh no", chirped the lady on the other end of the line. 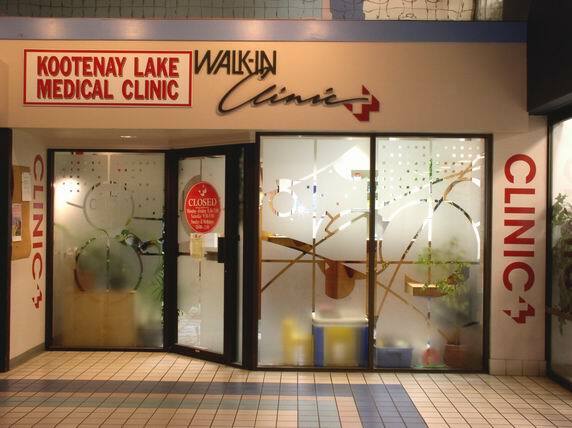 "We are a walk-in clinic". 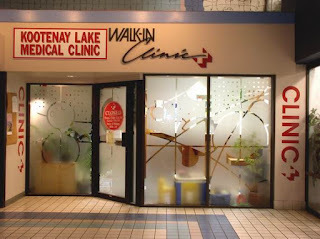 A walk-in clinic! I'd heard of them... in stories from England I believe. But I'd definitely never been to one. Until this week, when I, err, just walked in! I drew a number, sat down and started reading things I brought from work. After about 20 minutes, my number was called, an imprint of my health care card taken and a file opened. Fast forward another 20 minutes, and a friendly but no-nonsense doctor had seen me and written my prescription. One more wait before a nurse competently administred the two booster shots.